We put a pretzel twist on our classic candy canes. 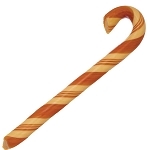 This pretzel shaped wintergreen candy cane is sure to grab some attention, and your taste buds too! Approximate Size: 3" x 2.5"
I tucked one of these into the toe of everyone's stocking this year. They were a big hit - and they're wintergreen, which is so hard to find but everyone in my family is crazy for! I can see this becoming a yearly thing. I ordered two of the wintergreen candy cane pretzels, but they sent two boxes of wintergreen candy canes instead! They are just as good and we love he wintergreen flavor. 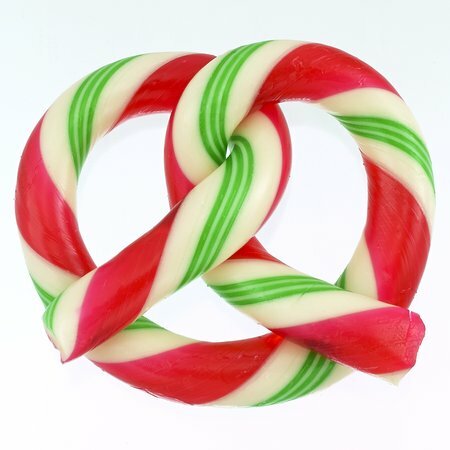 I love wintergreen and I love pretzels, so how can you beat Giambri's wonderful wintergreen candy cane pretzel? Ordering these yummy items has become a holiday tradition for us. Thanks Giambri's!